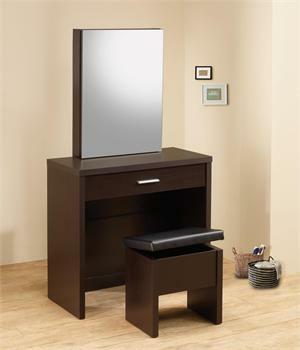 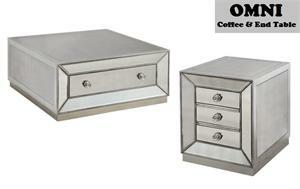 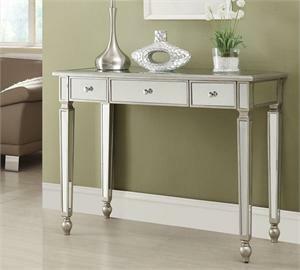 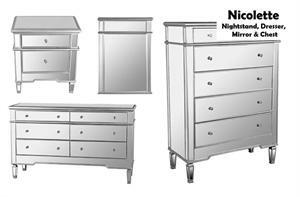 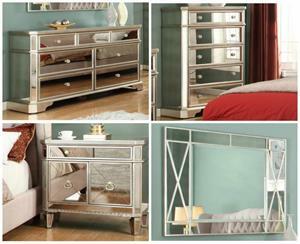 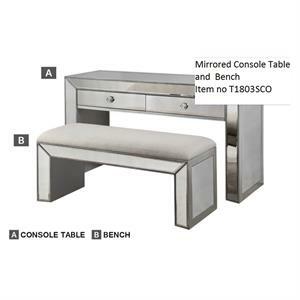 These sleek contemporary vanity sets will be a welcomed addition to your master bedroom. 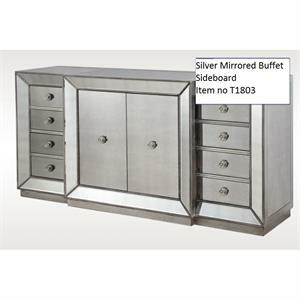 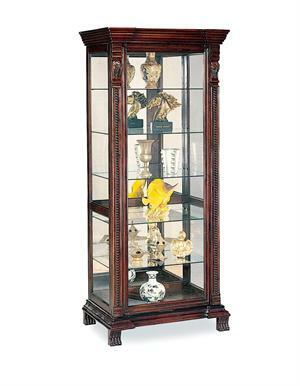 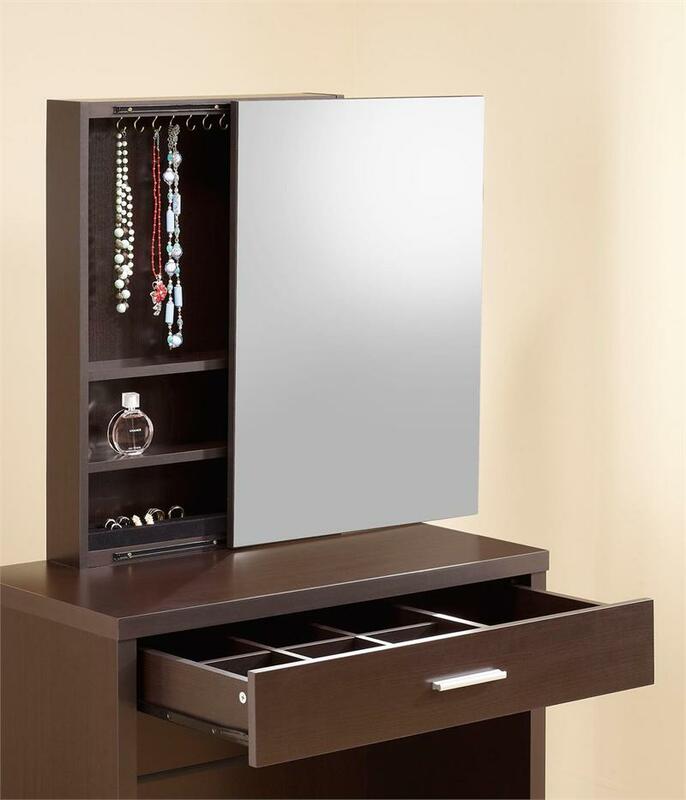 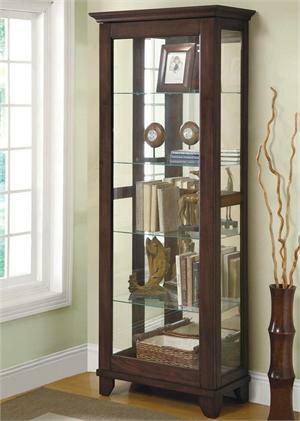 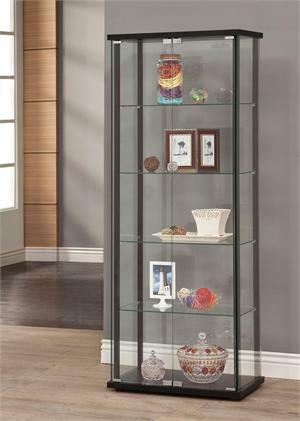 Featuring a large mirror that slides open to reveal hidden jewelry storage compartments and hooks as well as a pull-out drawer which has been divided to make organizing more convenient. 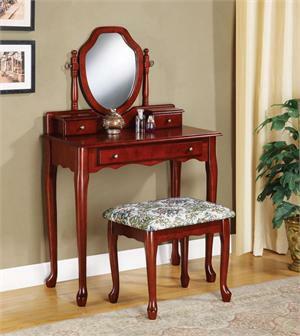 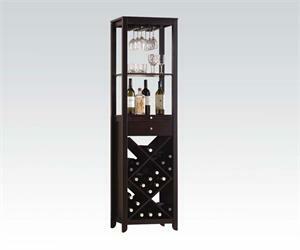 A matching stool with storage space is included.